This Sunday we will close out the season of End Times and our sermon series Sundays of Promise. It is Christ the King Sunday. No matter who calls the White House home or no matter who leads the nations of the world, Jesus is our King. On the Last Day every knee will bow before him. 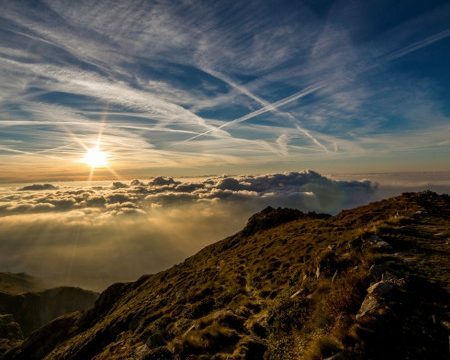 There are few sights more exhilarating than looking over the peak of a mountain. I suppose some of what make the sight so wonderful is how difficult it can be to climb the mountain in the first place, but even if you are sitting in the comfort of your living room watching the experience in HD, it’s still pretty cool. As you look over the peaks and valleys it’s impossible to see everything in between and difficult to gauge the distance in what you see. When the prophet Isaiah recorded the picture of heaven and the New Testament church, I can only imagine his excitement. We speak of prophetic perspective when a prophet is given a vision that spans, in some cases, thousands of years. It might bother us to hear about infants dying nestled right next to the heavenly mansion where there is no death, but the prophet just records his vision of the future. All we know is the suffering of this veil of tears, at least the 2016 version. Every age has had its own struggles. That is why we need to see heaven and the peace that is waiting for us. We continue our End Times sermon series Sundays of Promise under the theme: The Promise of Resurrection. This Sunday is week two of our End Times Sermon Series – Sunday’s of Promise. It is Last Judgment Sunday so we will consider the Promise of Judgment. Is the Last Judgment something that a Christian can really look forward to? Absolutely! 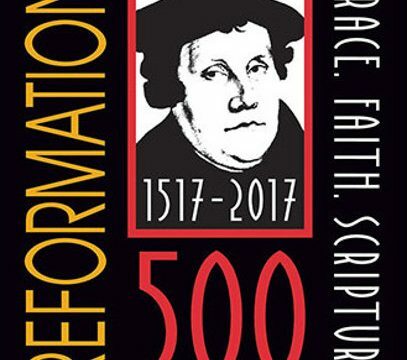 This Sunday we celebrate the 499th anniversary of the Reformation of the Christian Church. This Sunday ushers in a new season of the church year – End Time. We also begin a new sermon series – Sundays of Promise. Our first sermon is the Promise of Truth. As the Last Day draws closer we have nothing to fear because we are set free from sin by God’s truth of forgiveness in Jesus.